The capital of Yobe State, Damaturu, is under attack by Boko Haram insurgents, at the time of this report. Resident of Maisandari area, an outskirt of Damaturu, said the attackers came through the eastern part of the town and started shooting sporadically. 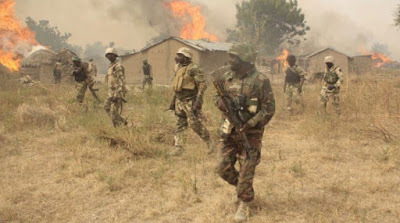 According to Daily Trust, it was observed that heavy armed soldiers in four armoured carrier and many hilux vans were seen advancing toward the insurgents’ direction.